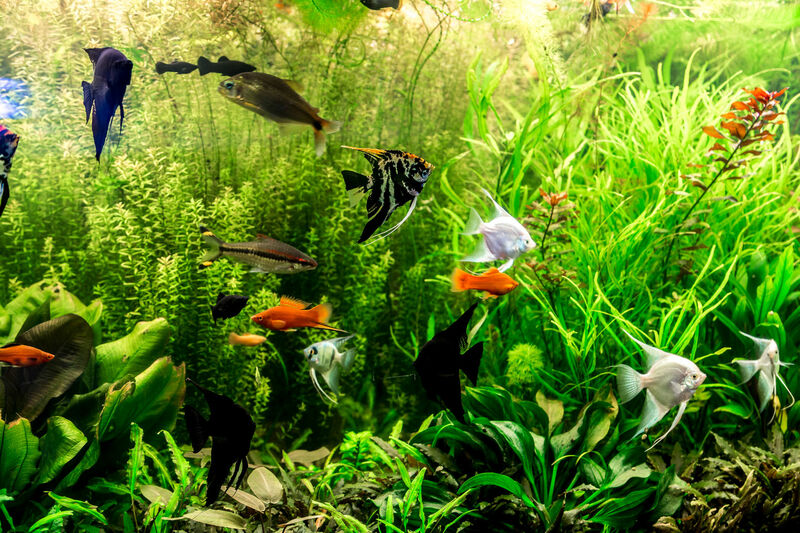 The biggest and most important part to getting a home aquarium is choosing a fish tank. There are many options to consider when shopping for a fish tank, and many things to consider before making a purchase. In addition to deciding where to place your aquarium and what to keep in it, another thing to decide on is whether to go with a complete aquarium kit or buy a fish tank and components individually. 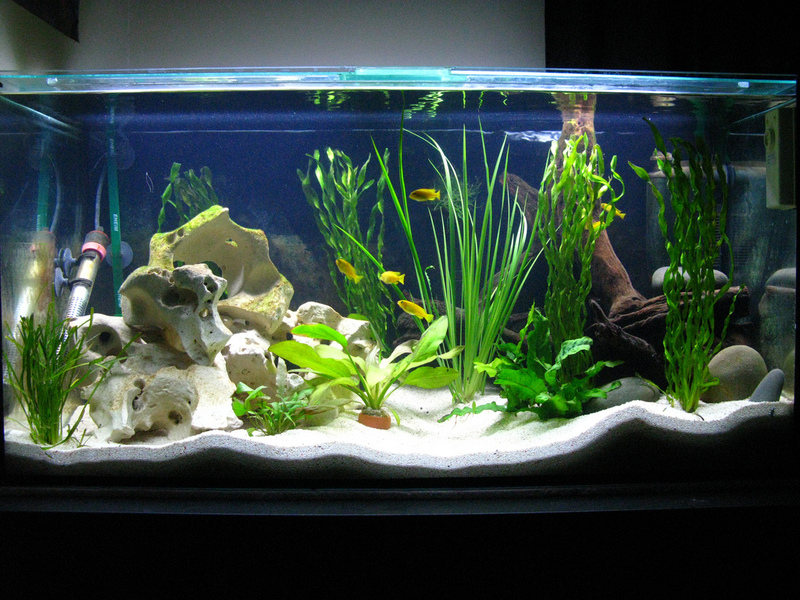 Let’s first review the advantages and disadvantages of complete aquarium kits. Many retailers offer complete aquarium kits which include all the basic components and water additives to get a new aquarium set up and running. The only items they are missing are aquarium decorations and substrate. They are available in the most popular sizes ranging from 10 gallon kits (or smaller) to 55 gallon aquarium Starter Kits and they can even be found in different shapes like 26 gallon bow front kits or 36 gallon bow front kits . Their affordable price and availability in these popular sizes are the main advantages of aquarium kits. Filter: Aquarium kits come with a standard HOB (hang on the back) power filter, which is typically from manufacturers like Aqueon, Tetra or Top Fin (Petsmart’s brand). Tetra LED aquarium kits come with Tetra Whisper filters. These filters all function well and do an adequate job. However, they are standard filters, and anyone wishing to use something else like a canister filter for example, will not have the option to do so. Marineland aquarium kits come with their BIO-wheel power filters , and are an upgrade on filtration capabilities over the standard HOB filters. Heater: Aquarium kits also come with a heater which is usually from the same manufacturer (Aqueon, Top Fin, etc) and is rated for heating the size of aquarium. They are submersible heaters and typically do an adequate job at keeping the temperature of the water at the right range for your fish. Kits will also include a basic thermometer. Water Conditioners: Many aquarium kits will include conditioners for making tap water safe for aquarium fish. Those kits that include conditioners will typically include enough to get a tank up and running, and you will then need to buy more to continually treat your water as you maintain the aquarium. Petsmart Top Fin Kits will come with small packets of API Stress Zyme & Stress Coat for conditioning the water and starting your biocycle. Food: Some kits will include sample fish food. The food is usually a small packet of commercial flakes that is good for feeding most types of aquarium fish. The packet is only enough to feed a small group of fish for a few days. You will need to buy additional flakes or other types of food if you wish to feed your fish other foods like pellets, freeze dried or frozen foods. For those people who don’t want to use the brands or types of components included in kits, the better option is to buy components and aquariums separately. This option is more expensive, but it gives the freedom to choose a different style of filter like an undergravel filter or canister filter. You can also choose a different style of heater, and you are not forced to use the same brand of product as the manufacturer of the kit. I have found that most HOB filters function similar, unless it is a BIO-wheel filter. However, not all heaters are as reliable as the other ones. I have had the best luck with Aqueon submersible heaters. I have also found that buying one size larger than what is recommended to heat your aquarium will keep your heater from having to work harder to maintain the water temperature. This helps to extend the life of the heater. Ultimately the choice of an aquarium kit or buying components separately is up to your preferences. It usually comes down to cost and what types of components you prefer to use.